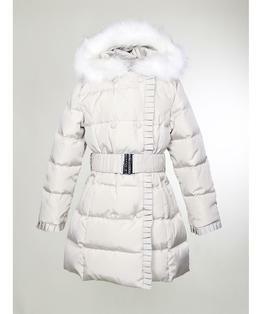 No need to sacrifice style for warmth with this coat. 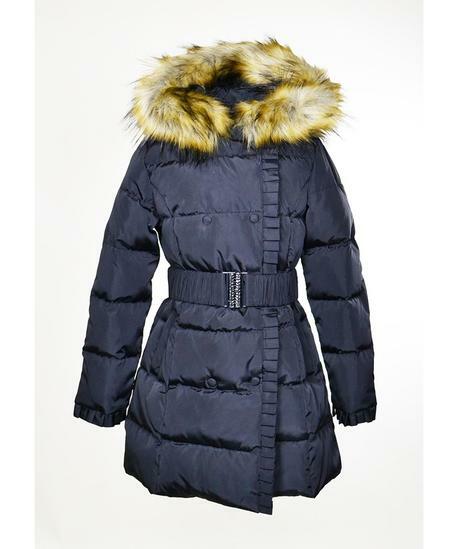 Hooded nylon coat is filled with super warm down and adorned with lovely stylish details like the sweet ruffle detail, faux buttons and a belt. Faux fur trim on hood. Zipper and snap close. 100% Polyester. Machine Washable.